Thank you for visiting us online. We genuinely appreciate your interest and promise to respect your time. I opened Brennan Bodyworks in 1979 with the goal of doing the best collision repair work on the world's finest cars. 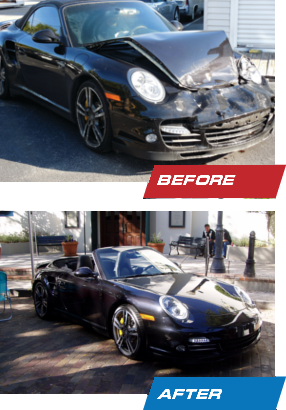 Thanks to the trust of our customers, we have grown from humble beginnings repainting cars to a complete collision center, certified by Porsche, Audi, Nissan GT-R, and Honda ProFirst for meeting their exacting standards in training, repair procedures, equipment and tools. And for our commitment to your satisfaction. The area at which we work the hardest is service. It is our policy to go the extra mile to make the repair experience as easy on you as we can. So, when the unexpected happens, please remember, that we're always here to assist you in getting your car and your life restored to normal with the least hassle to you. Just give us a call.